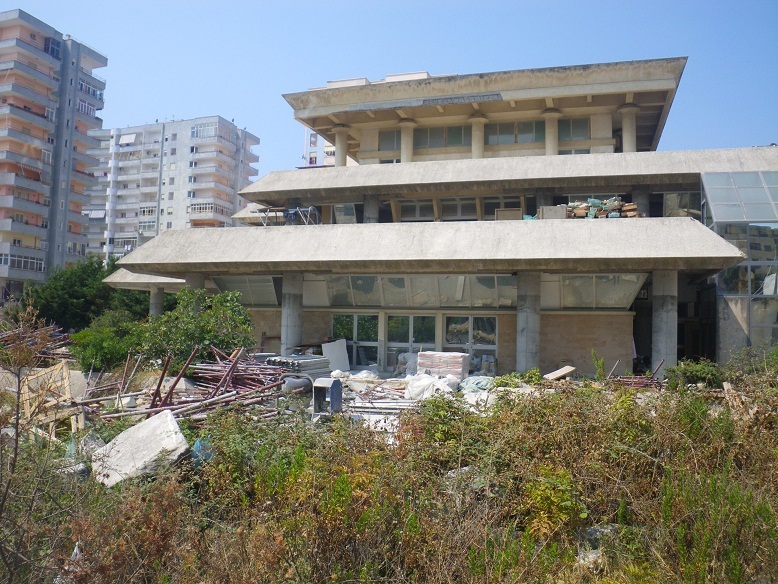 The project aims to restore, upgrade and modernize the Archaeology Museum in Durres. The Museum was last inaugurated in 2002, after a $1,000,000 renovation. 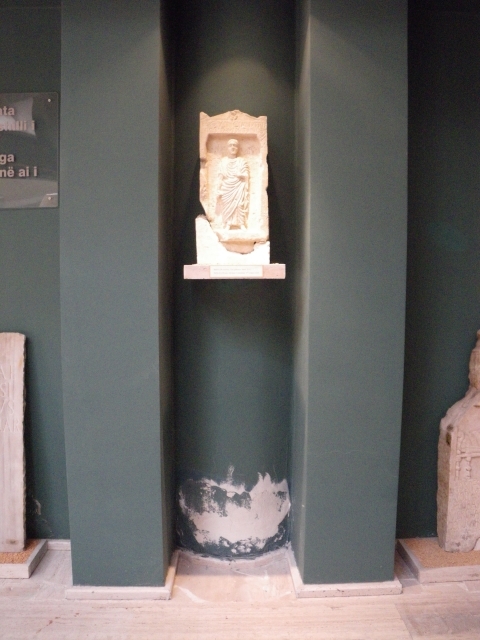 In 2010, it was reported that Minister of Culture Ferdinand Xhaferaj had removed funds (4 million ALL / $40,000) from the museum in order to fund reconstruction of the Pyramid Pjeter Abnori in Tirana. 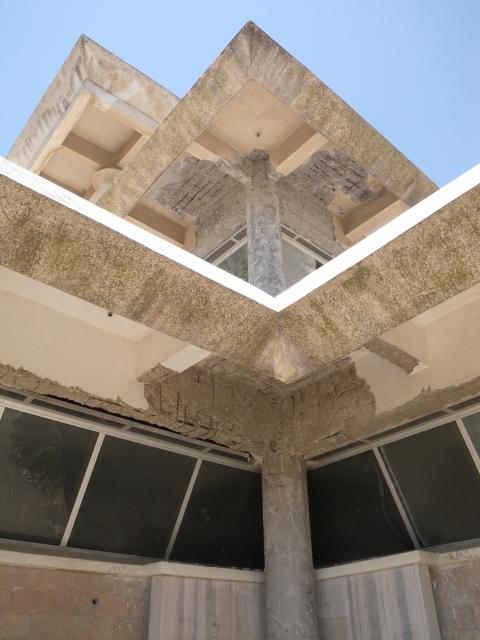 The article reported cracked concrete, missing plaster, un-painted since 2002, extreme water exposure, and defective lighting and safety systems. 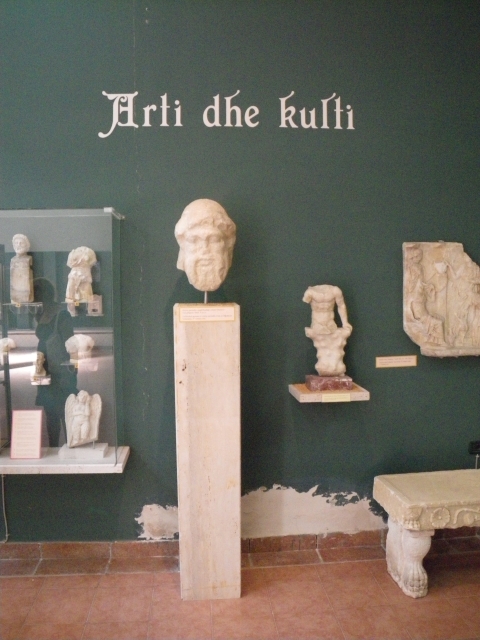 The same article stated that Prof. dr. Fatos Taartari, co-director of a joint Albanian-French archaeology mission, considers the situation in the archaeological museum as “catastrophic, unacceptable, a shame really”. Below are a few images of the exterior work being undertaken, as of August 2, 2011, two weeks after the PM’s inauguration of the beginning of work. 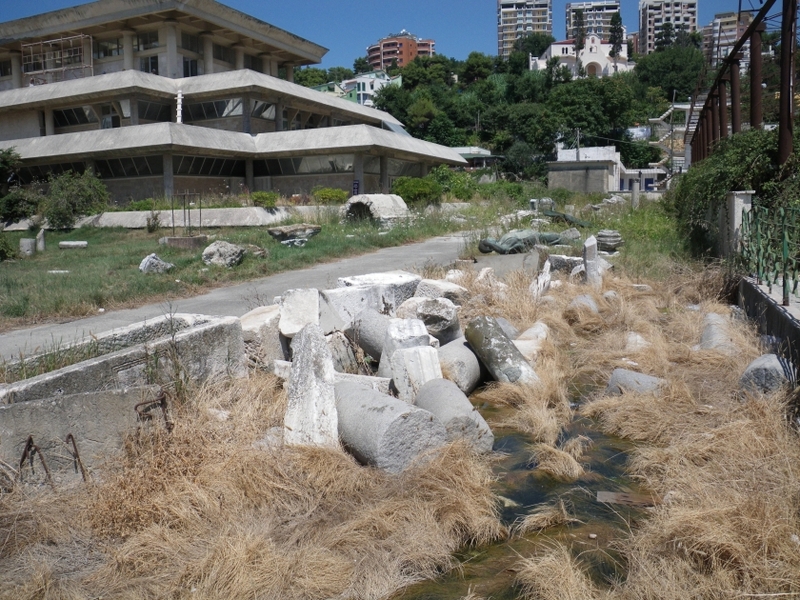 Work is expected to finish by February, 2012, with the contract outlining 240 days of work. 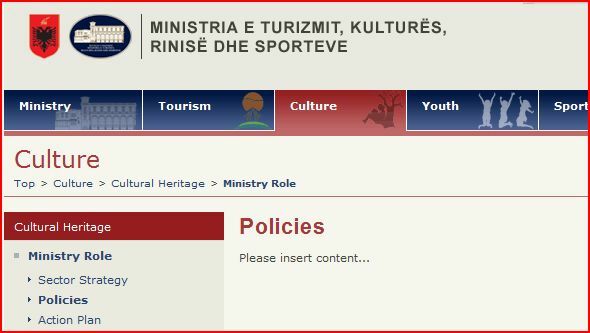 *UPDATE* Gazeta Panarama reports on Feb 29, 2012: according to the head of the Regional Directorate of National Culture, Ermion Arapi, also director of this museum, the Museum will likely not open in time for the tourist season in June. 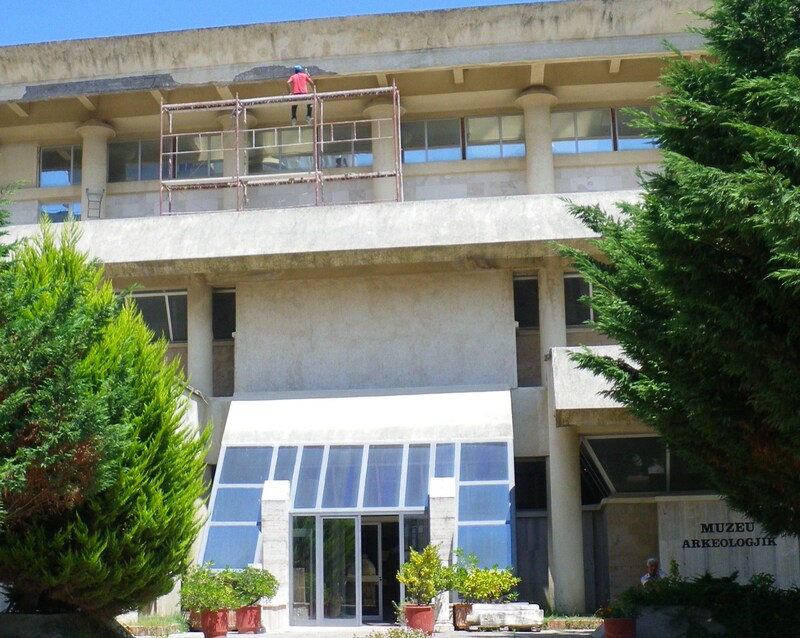 The delays are due to problems between the Ministry of Education, who oversees the Albanological Research Centre and the Ministry of Culture, who oversees the museum itself. 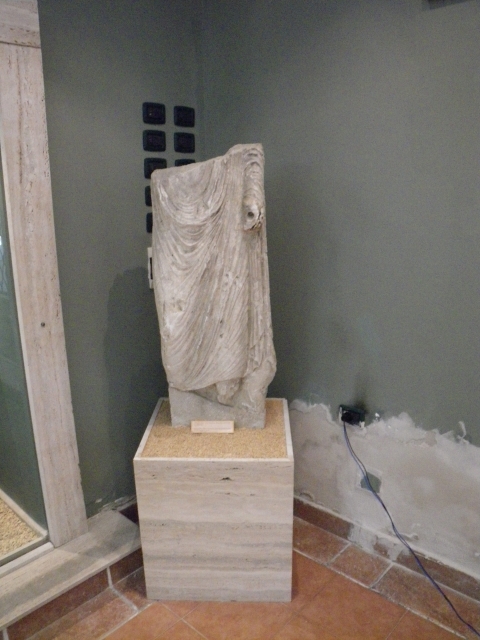 **UPDATE** We tried to visit the museum on August 31, 2012 and the exterior had not been touched. Workers told us that the museum would open in late November. 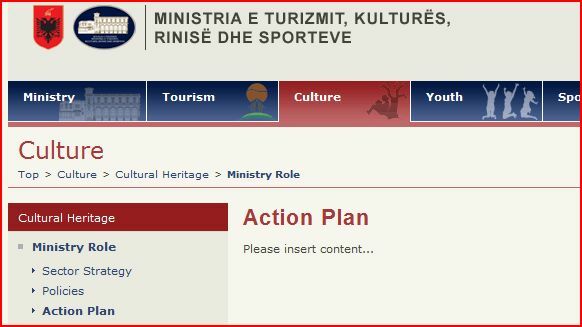 ***UPDATE*** December 2014, the museum opened to Prime Minister Edi Rama and Minister of Culture Mirela Kumbaro, but still remains closed to the public. 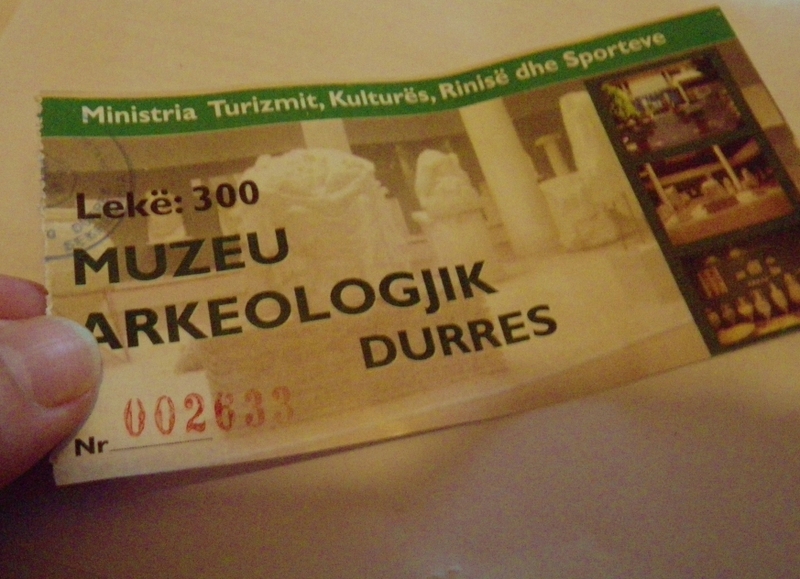 March 21, Durres…three and a half years after we last were inside the museum..the closure with a duration of 240 days was completed! Prime Minister Edi Rama Rama and his wife, as well as Minister of Culture Mirela Kumbaro, Minister of Environment Lefter Koka, Mayor of Durres Vangjush Dako, Prefect of Rolant Xhelilaj, diplomatic guests and more, were on hand to open the museum! 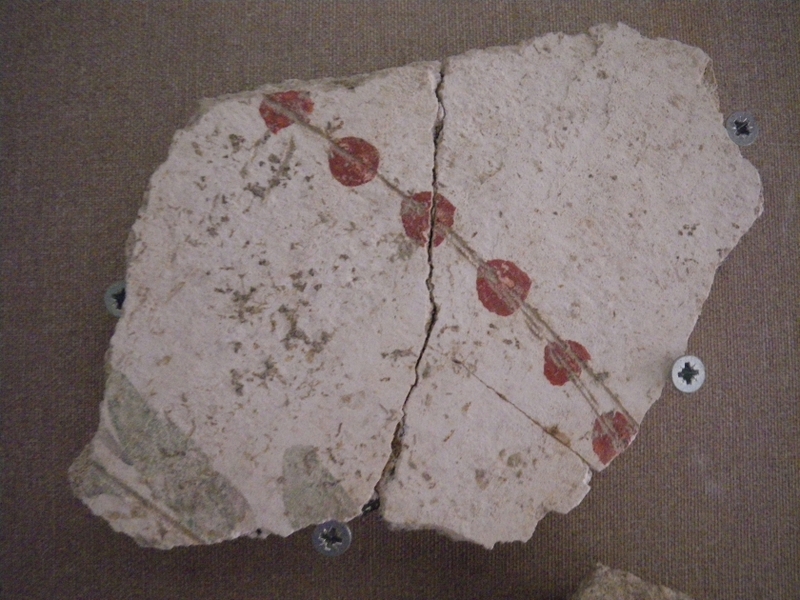 The museum has a fund of more than 3200 objects, of which 2400 are on display, but it still does not have a website. Aug. 2011. 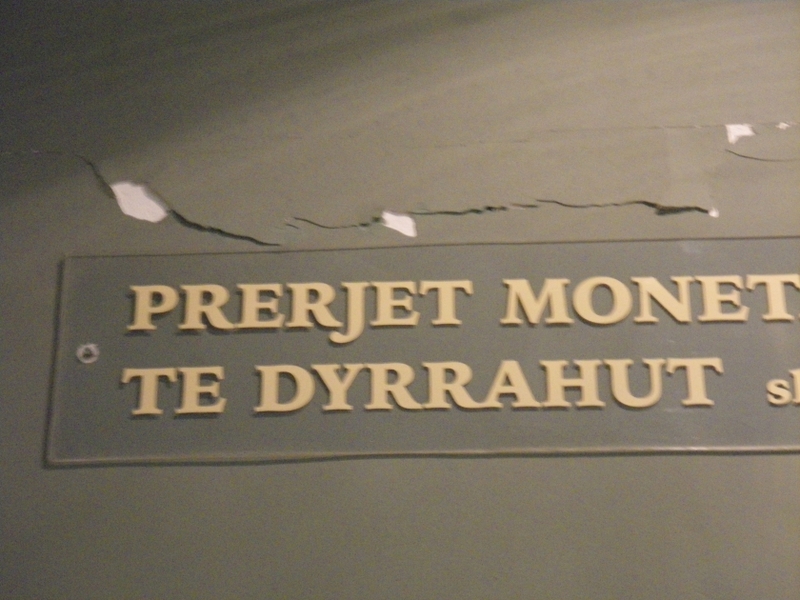 Sign clearly stating work is to take 240 days, while 1 year has already passed. 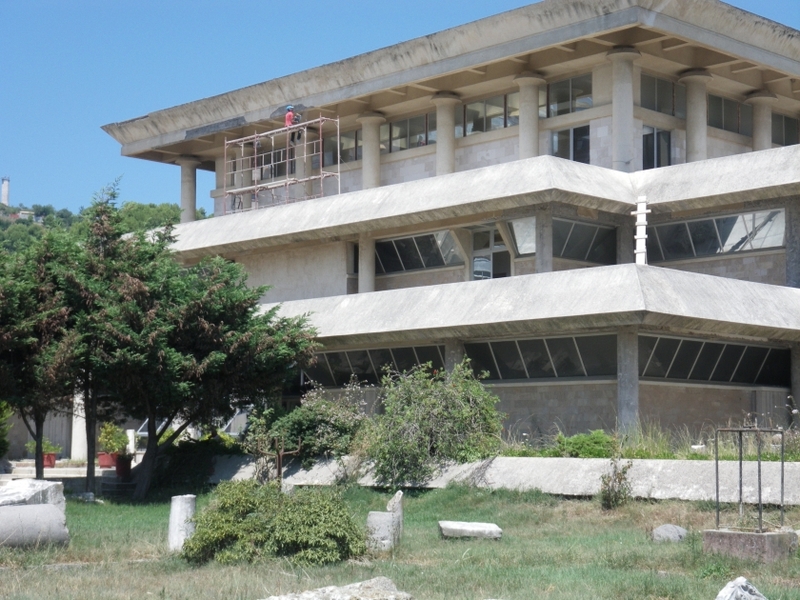 The museum boasts the largest collection of archaeological finds in Albania. 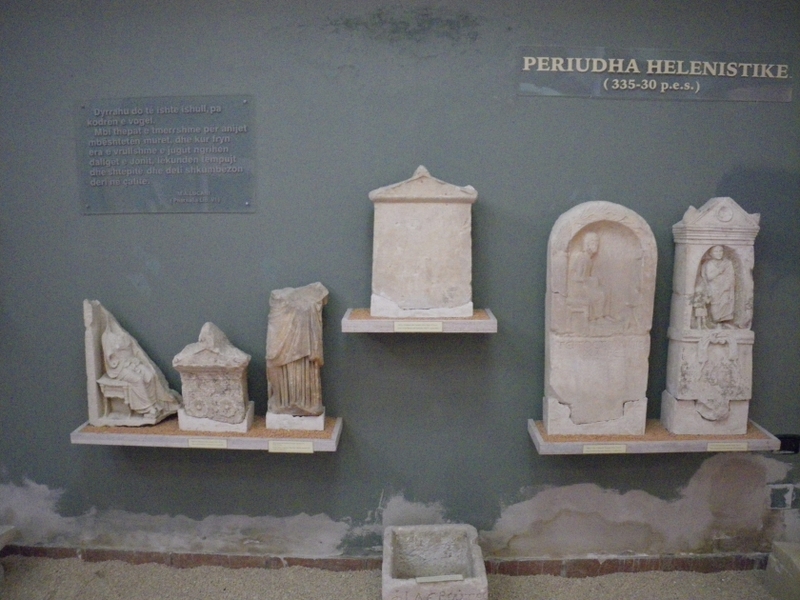 The museum displays articles of Roman, Greek, Classical, late antique and early medieval eras, which were excavated from Durres and the surrounding regions. Below are a few images of the interior of the museum, which had remained open during early construction for an admission of 300 lek. Aug. 2, 2011. 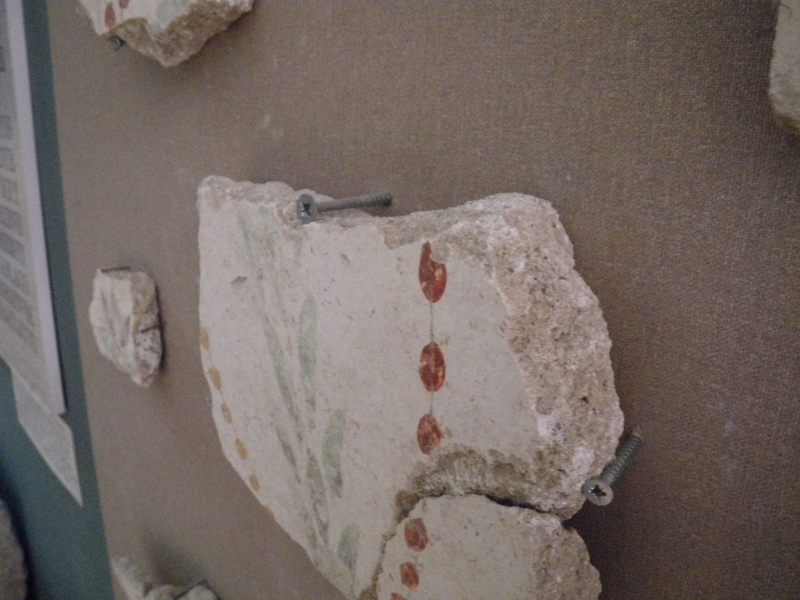 Semi-repairs to the base of the wall, likely caused by humidity and moisture. Improvements are to include upgrading plumbing, electrical work, and a state of the art security system. 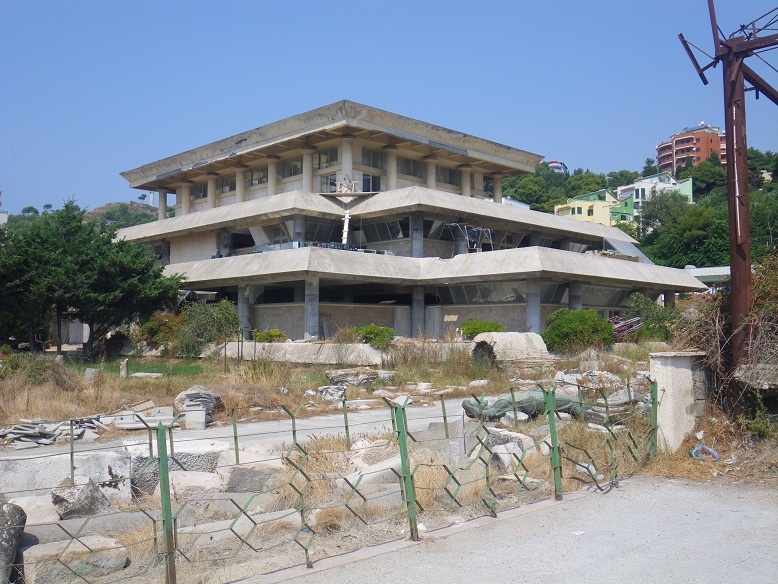 According to a release from the Council of Ministers, the project includes the construction of a library and conference hall, however they state that the reconstruction of the museum is to end in the fall of 2012, as oppose to media outlets who state completion will be February 2012. Aside from general aesthetic and structural repairs, there is a major need to develop and/or implement certain display elements. The image below shows how fragments are held up using the “ol’ screw balance” technique. 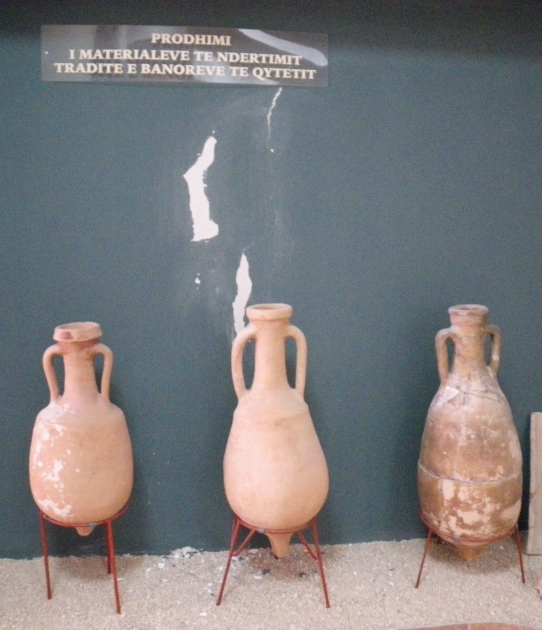 Although the museum is the largest in the country of its kind and houses many important archaeological objects, the museum is not an independent institution and is operated by the Regional Directorate of Durres Monuments. 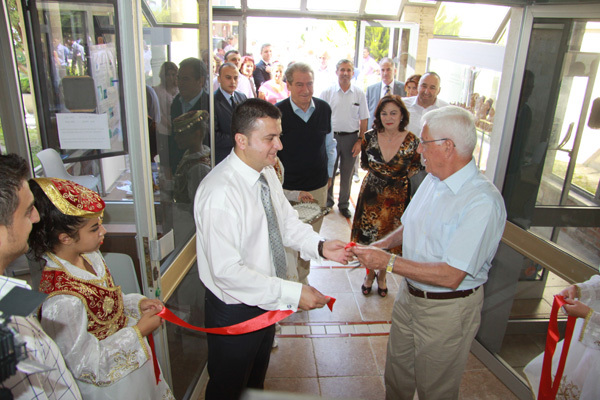 It is supported by the Albanian Institute of Archaeology and the Academy of Sciences and will likely become a national museum upon its completion. 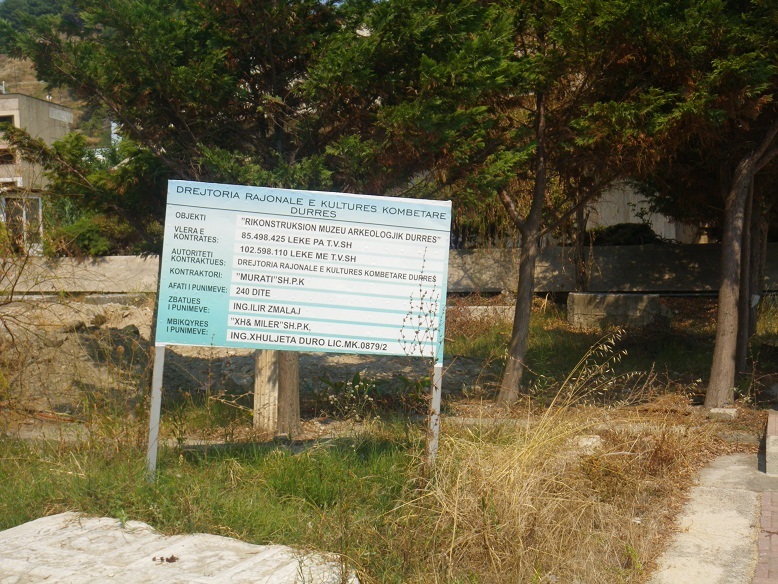 The museum was established in 1951, and when we wrote this in 2011 claimed to have a collection of about 20,000 objects, many of which are ‘stored’ outside. There is also the issue of what will be done to the surrounding property, as well as the apparent “overflow” collection, sitting outside in what appears to be a swamp. Literally an “overflow” collection, sitting in a swamp. 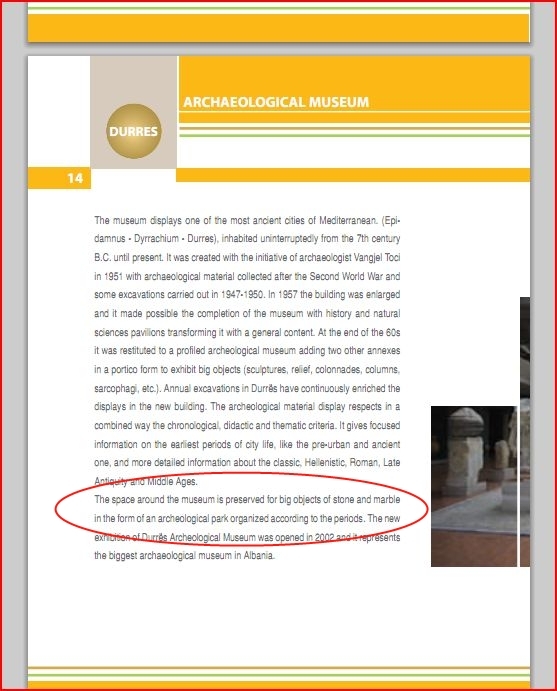 The Ministry of Culture, Tourism, Youth & Sport claims that the space around the museum is “preserved for big objects of stone and marble in the form of an archaeological park, organized according to the periods”.